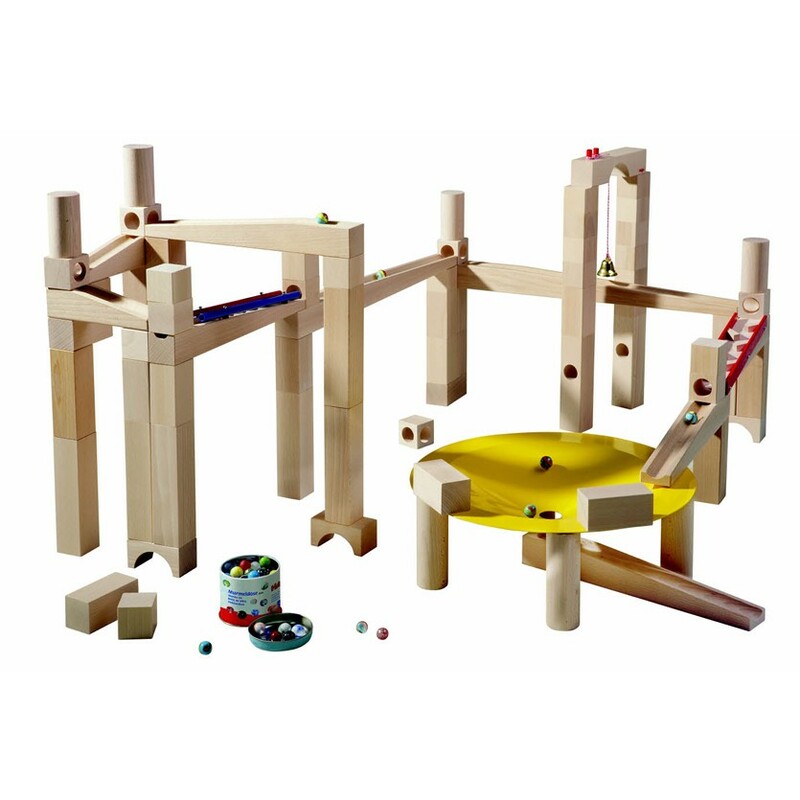 The ultimate in marble run building. 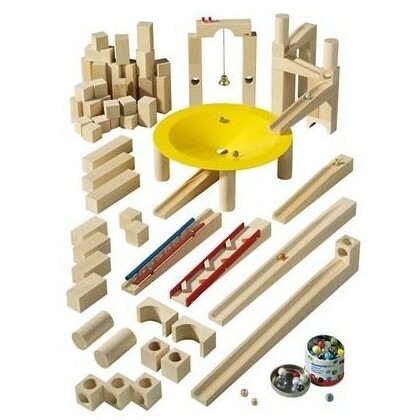 77 precision made beech wood pieces make up this amazing Haba marble building set. A plethora of wooden building blocks, marble tracks, direction changers, curves, level droppers and some extra more detailed pieces. The highlights are the clunking zig zig track, musical zig zag track, musical bell and the "whirlwind" metal funnel which makes a fantastic sound. There's hours of building and playing for the whole family with this huge marble run set. Comes with 6 marbles included. Recommended for ages 3-10, but we think adults will secretly enjoy playing with it too. Haba Toys - "We light up children's eyes" "We breathe environmental protection and sustainability!" "Designed and manufactured in Germany" . Haba offer a huge selection of toys for children of all ages and they're all a little bit special. Toys that foster your child's skills, imaginative play and fun. Haba wooden toys are made in Germany using sustainable PEFC certified wood and their factories are super eco friendly too. Haba soft toys are made in China with care and thought for the environment and employees.